Free Booze and Jazz Jamming at Mominette Tomorrow Night! 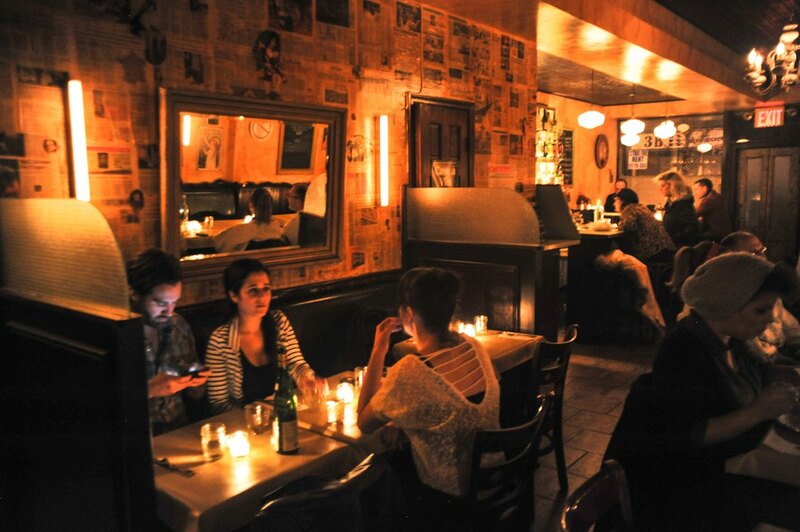 Mominette, the French bistro on Knickerbocker Ave, has wisely decided to capitalize on the weird, vibrant energy that pervades that section of the block by introducing a Tuesday night Jazz Jam. You already know that we love their snails and the ambience of this fine establishment. By adding a weekly jazzajamathon to their already deluxe vibe, they've certainly captured our attention once again! Jazz Jam will be held every Tuesday night starting tomorrow from 9PM to 2AM. A house band will get the crowd warmed up from 9 to 10, and then any jazzheads who want to come jam are welcome to do so. And get this: first drink free for the jamming musicians, happy hour prices after that! Go and get groovy with some snails and some local musicians at Mominette tonight. Maybe I'll see you there!